Do you really know the difference between Alexa and Siri? The virtual assistants that live inside our gadgets are becoming more extraordinary by the day. What was once considered gimmicky is now a helpful tool with real world applications. As the assistants develop a better understanding, they will no doubt become a big contributor to how you decide on your next smartphone. But, if you’re still a bit new to the virtual assistant thing, let us explain who’s who and what’s what. Google Assistant lives inside Google Pixel and Google Home - set to make its way onto other Android smartphones soon. 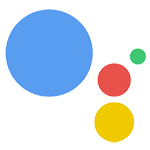 It takes over from Google Now, which was previously the only assistant available to Android users. The main difference between the two is that Google Assistant has a personality, just like its competitors. It can answer all your questions, sing a song, tell a joke, and even host a game show in which you’re the contestant. Check out fun things to ask Google Assistant here. Apple’s Siri has been around the longest, and is arguably the most famous of the virtual assistants, making its debut in 2011 on iPhone 4s. 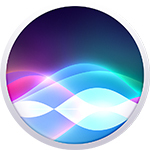 Siri is now available on iPhone, iPad, Apple Watch, Apple TV, and Mac with the recent OS update, Sierra. Siri can pretty much do it all. 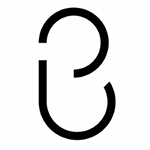 It’s available in multiple languages with various regional accents, and has access to seemingly endless info through smart encyclopaedia, WolframAlpha. Alexa belongs to Amazon, and first appeared on the smart home hub, Echo. 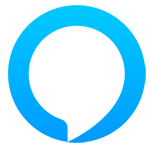 Soon the relatively new assistant will be coming to our smartphones too, with news of Motorola and Huawei already signing Alexa up. In a statement, Huawei said that it has joined forces with Amazon “to develop rich voice activated consumer experiences for mobile users”. There’s also talk of Alexa being integrated into other internet of things (IoT) tech, in an effort to create a more aligned smart home experience. Who is your favourite virtual assistant? Join the conversation below.